Wang Dan speaking at a demonstration in 2015. Wang Dan (born February 26, 1969) is a leader of the Chinese democracy movement and was one of the most visible student leaders in the Tiananmen Square protests of 1989. He holds a Ph.D. in history from Harvard University, and from August 2009 to February 2010, Wang taught cross-strait history at Taiwan's National Chengchi University, as a visiting scholar. He then taught at National Tsing Hua University until 2015. Besides conducting research on related topics, Wang is still active in promoting democracy and freedom for China. He travels the world to garner support from Overseas Chinese communities as well as from the public at large. He is a friend of fellow activists Wang Juntao and Liu Gang. Following the People's Liberation Army's crackdown on the protests, Wang Dan was placed on a list of the 21 most wanted student leaders of the protests. Imprisoned on July 2, 1989, Wang spent nearly two years in custody before his trial in 1991. Wang was charged with spreading counterrevolutionary propaganda and incitement. He was sentenced to 4 years in prison; a relatively mild sentence compared to other political prisoners in China at this time. This short sentence was thought to be caused by two things; the government was unsure of what to do with so many students, and felt pressure due to their high-profile nature. While incarcerated, Wang spent two years at Qincheng Prison, known for its high number of political prisoners. Despite the usual cramped conditions, because of his high-profile case, Wang was given his own cell. Wang was released in 1993, just months before the end of his sentence. Wang Dan himself has noted this was most likely related to China’s first bid for the Olympic Games since he and 19 other political prisoners were released only a month before the International Olympic Committee was to visit. Almost immediately after his release in 1993 Wang began to promote democracy in China and contacted exiled political activists in the United States. He was arrested for a second time in May 1995; two months after an interview with the US based anti-communist periodical Beijing Spring. In this interview he states: "We should clear a new path and devote ourselves to building a civil society by focusing our efforts on social movements, not political movements, self-consciously maintaining a distance from political power and political organs." (document 3) Wang was held in custody for 17 months before receiving the charge of "plotting to overthrow the government", and was sentenced to 11 years in prison. Instead of serving his entire sentence, he was released in 1998, ostensibly for "medical reasons" and was sent immediately to the US where he was examined in hospital, and quickly released to live in the United States as an exiled political activist. 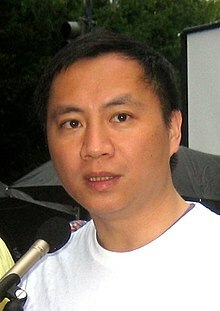 His release and move to the United States followed an agreement between the United States and China whereby the United States removed its support for a resolution criticizing China at the United Nations Commission on Human Rights, and in return China released political prisoners such as Wang. Not long after Wang Dan arrived in the United States, he began to criticize the Chinese government once again. Wang believes the CCP must change its ways, and in an interview with the US newspaper The Weekly Standard he states: "The key to democracy in China is independence. My country needs independent intellectuals, independent economic actors, independent spirits." Wang received his PhD from Harvard University in 2008, and continues to be actively involved in fighting for change in China. Two of his works include: "20 years after Tiananmen" which takes a look at how economic change has affected the Chinese people, and contains suggestions for social and human rights changes. Wang also wrote "Rebuild China with an Olympic Amnesty" after his arrival in the United States; the document has a more positive outlook, as he felt international events such as the Olympic Games could shed light on human rights issues in China. In 2007 Wang's second sentence expired and he was officially "released" and the certificate was issued to his parents on Oct 2, 2007. 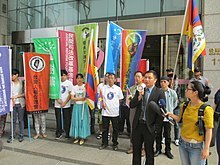 Wang Dan felt there were many things that could have been changed about the movement, and he has raised these issues, both during and after the movement. In an interview with The New York Times published 2 June 1989, Wang states, I think that the student movements in the future should be firmly based on something solid, such as the democratization of campus life or the realization of civil rights according to the Constitution,… Otherwise, the result is chaos. Another issue Wang raises is the involvement of intellectuals in the movement, expressed in the Times interview as well as a 2008 interview titled "Tiananmen Remembered". In this source he believes that intellectuals were not used early enough in the movement, and their involvement may have changed the course of events. Despite pointing out failures, Wang feels the protests affected the mentality of many Chinese people, arguing the hunger strike was necessary as it allowed greater attention on the movement. (Document 1) In addition to this Wang feels that the crackdown, and the promotion of democracy got the attention of the entire nation, educating many people on democracy, a completely new idea for many Chinese people. Wang Dan has been productive in the years after his release from China. Wang has been able to publish articles such as "Rebuild China with an Olympic Amnesty" and "20 years after Tiananmen" as well as give public interviews. His exile in the United States allowed him to attend Harvard University to finish his education, and become Chairman of the Constitutional Reform Association. Wang Dan taught PRC history at National Tsing Hua University in Hsinchu, Taiwan from 2010 to 2015. While he was teaching a class in November 2010, a woman carrying a knife entered the room, intending to stab Wang. He was able to remove the knife from the woman before she was able to stab him. He believes that "this was the first time he faced what looked like an attempt on his life". The woman had allegedly been stalking Wang for three years. According to a Chinese language article from Radio Free Asia, as of July 2009, Wang Dan has a Facebook page that he hopes to use to communicate with people in mainland China. ^ "Wang Dan to teach history". Taipei Times. 22 May 2009. Retrieved 5 April 2014. ^ a b Huang, Jennifer (13 November 2010). "Wang Dan attacked by knife-wielding woman". Taipei Times. Retrieved 5 April 2014. ^ a b Hsiao, Alison. "Wang Dan's contract not renewed - Taipei Times". www.taipeitimes.com. Retrieved 2 August 2018. ^ a b SCMP. "Dissident to apply for visa to visit Hong Kong", South China Morning Post. Retrieved on 2008-05-12. ^ a b Wang Dan. "Twenty Years after Tiananmen". New Perspectives Quarterly. 2009. Accessed Through Wiley-Blackwell. ^ a b c Wang Dan and Xinran. 2009. "Tiananmen Remembered". Index on Censorship. Accessed From Informaworld. ^ a b c d e David Aikman, "Wang Dan’s Witness" The Weekly Standard. June 22, 1998. Retrieved from LexisNexis. ^ Wang Dan and Xinran. 2009. "Tiananmen Remembered". Index on Censorship. Accessed From Informaworld. Pg 4. ^ a b Wang Dan. "Rebuild China with an Olympic Amnesty" New Perspectives Quarterly. 2008. ^ WuDunn, Sheryl (3 June 1989). "A Portrait of a Young Man as a Beijing Student Leader". New York Times. Retrieved 5 April 2014. ^ Wang Dan, speaking at a press conference on May 31, 2009. Available on YouTube: "A Sunday with a Former Student Leader". This page was last edited on 1 January 2019, at 12:08 (UTC).